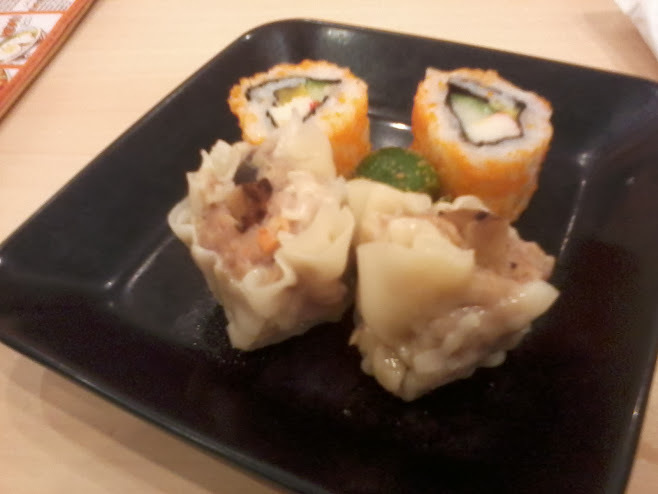 Kwento Ni Toto once again indulge in a tasty Japanese treat on a rainy week. 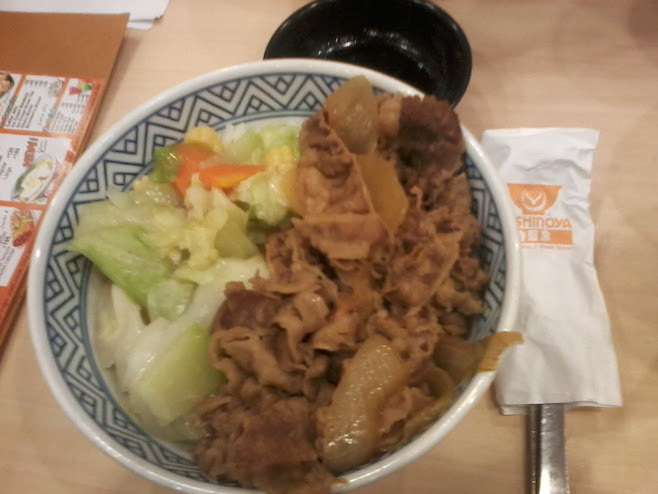 It's a great day to fill up the tummy with warm dishes from Yoshinoya. 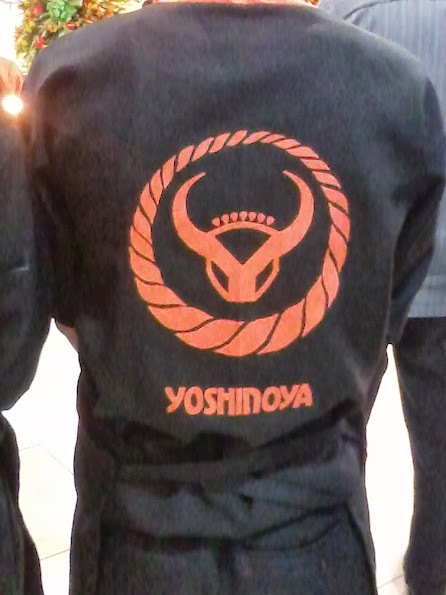 Yup it's from Yoshinoya! 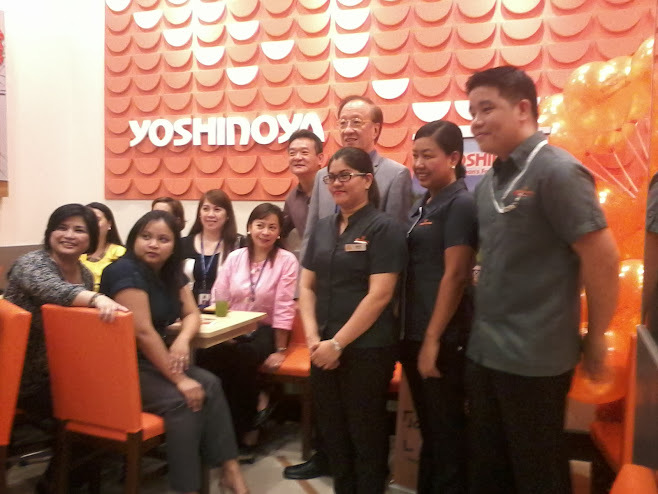 For quite some time the Yoshinoya branch in Robinson's Galeria located in Level 1 East Wing has been off and closed from their customers because of its renovation. They are making these to further give their customers a better dining experience. 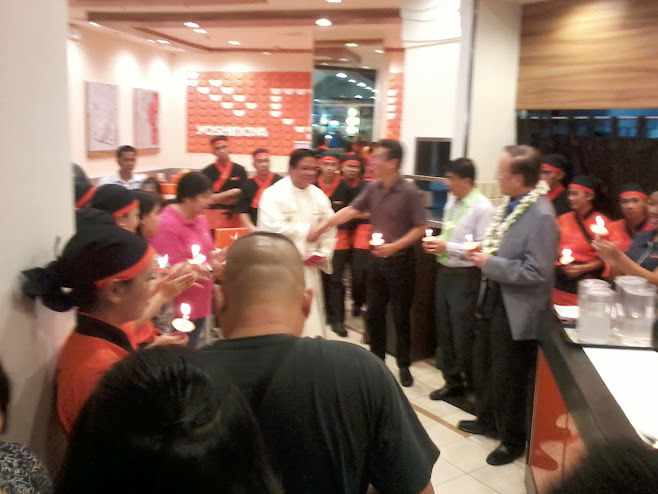 Last August 12, 2013 the much awaited reopening of the store happened as important people like Mr. Timothy James G. Yang, President/General Manager of Lhanat Foods Corporation, VIP's of Robinson's Galeria, Bloggers, Staff, Guests and Store Crew of Yoshinoya grace the blessing of the said establishment. 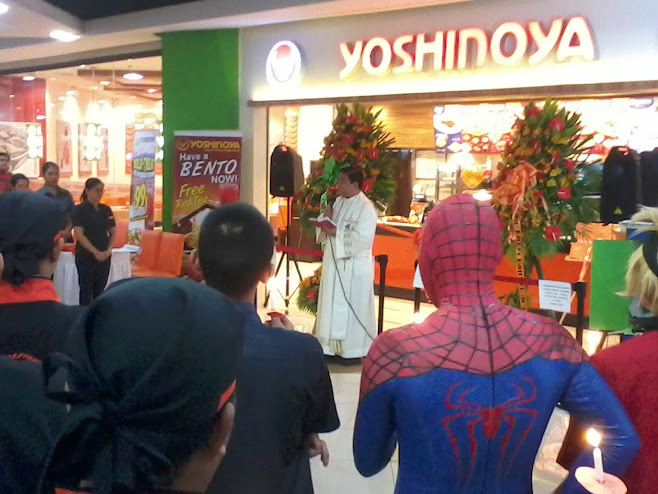 The re-opening started with the blessing of the store which was officiated by the priest and according to him "the blessing ceremony is not just for the store but also for the people working and visiting the place." 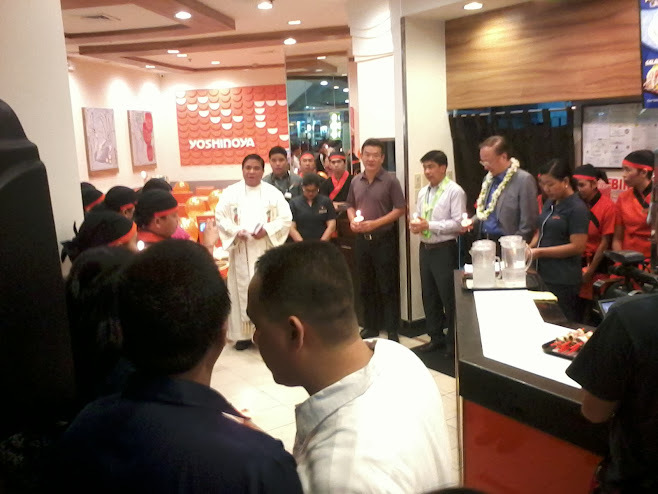 After the blessing it was followed by the cutting of the ribbon to signify the opening of the store. 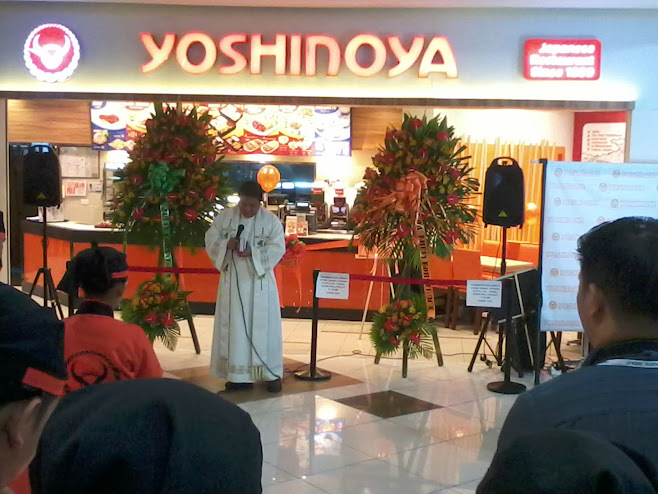 Lined up along the ribbon are the top brass of Yoshinoya and Robinsons Galeria, cut and welcomed everyone to come inside the store. 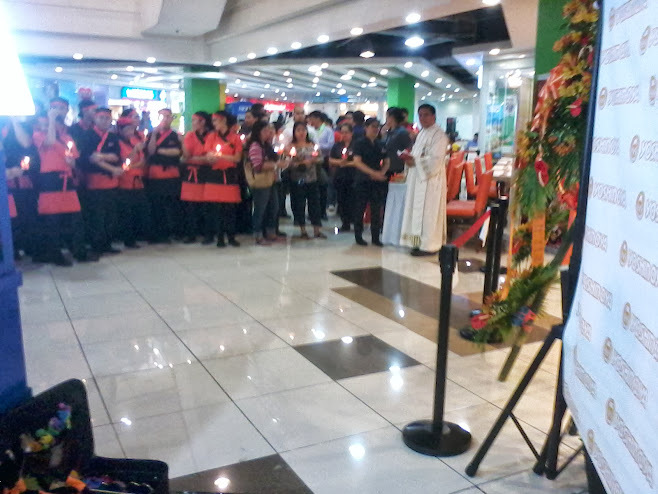 I thought that the ceremony was over but was amazed that there was still a part of the event which is a mini program held inside the store. 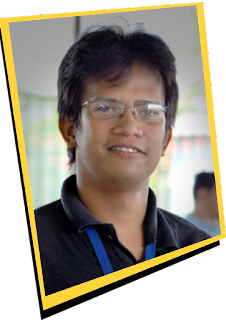 Ms. Clarita "Lala" Habana, Operations Manager welcomed everyone. 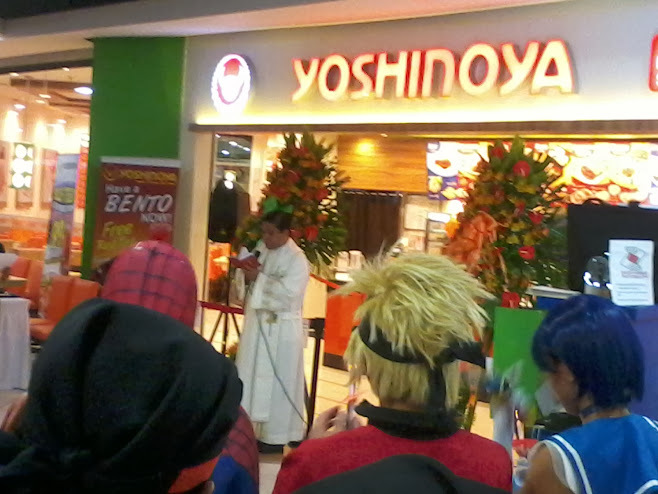 Then followed by Mr. Yang for an inspirational talk but according to him it's more of welcoming everybody in the store. 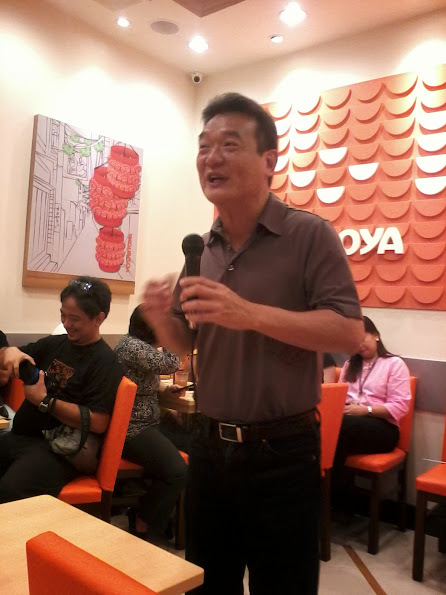 He also shared some of the highlights of Yoshinoya and his parting message was "I hope to see all of you more often here at Yoshinoya." Well, I will definitely go back since the president of the company encourages and sure got lots of dishes to offer for a hungry tummy. 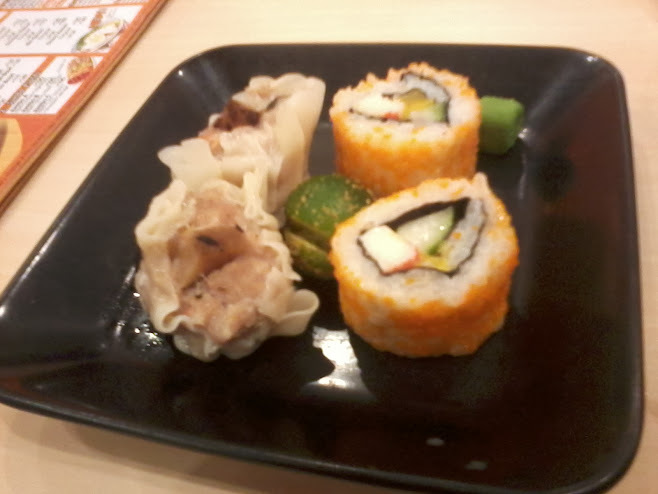 Well the much awaited part of the event was the food feast. 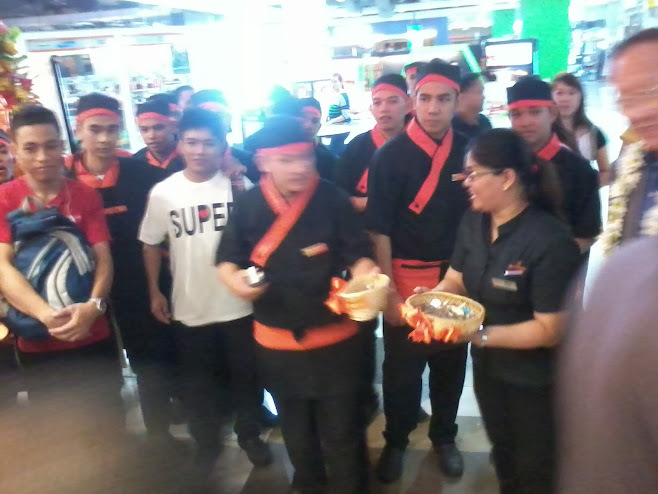 Yup, I think it was a feast since we tried almost all of their dishes and new offerings. 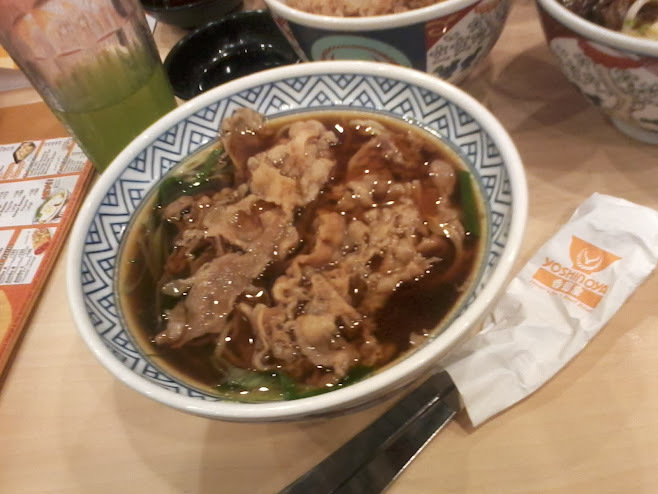 We indulge on some of their best seller such as Beef Yakiniku, and also on their new dishes such as Maki, Ramen, Kani Salad and Tiramisu. 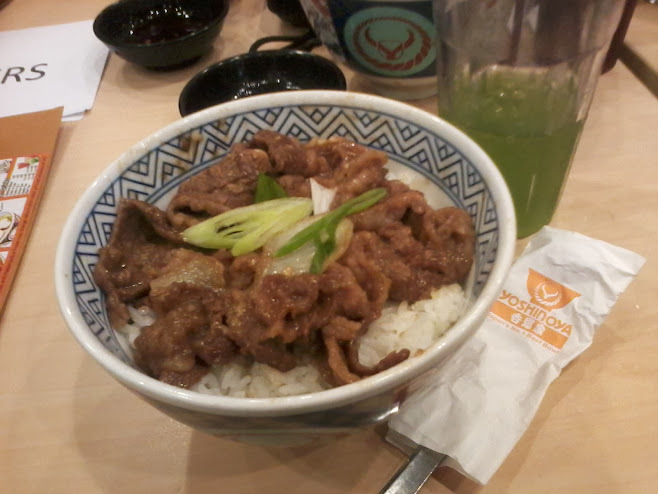 Of course we wouldn't want to miss the well loved signature dish of Yoshinoya, the Gyudon or Beef Bowl in which they are basically known for. 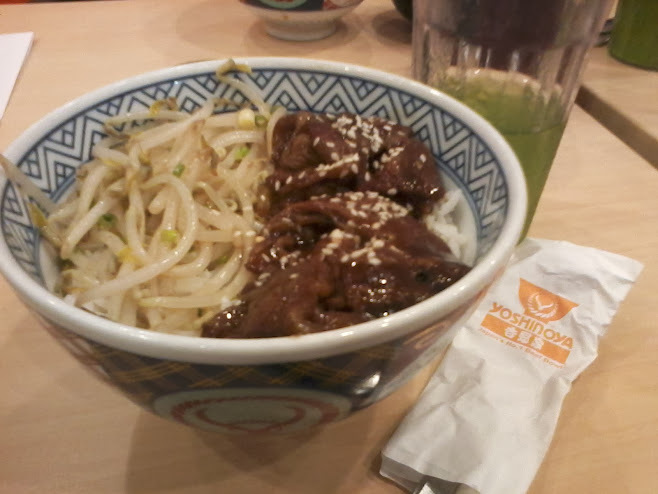 According to them their Gyudon is the same product profile where Yoshinoya operates even on other parts of the world. 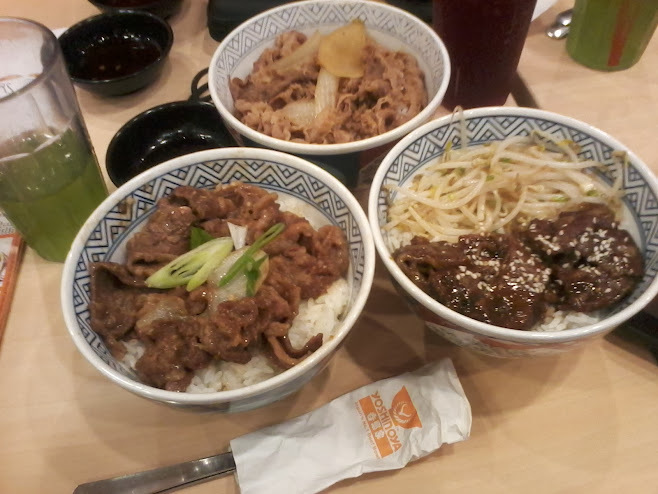 The core product is prepared using premium beef with the special beef stock over a steaming bowl of white rice. 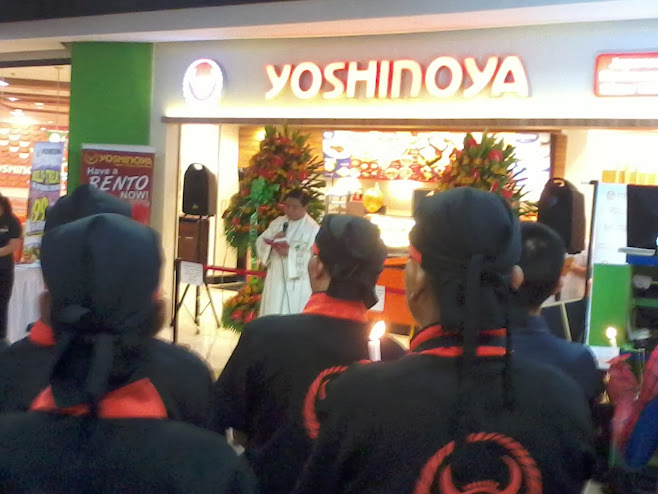 With their Re-opening, they are as well offering new products such as Maki Variants, Yoshi Chicken, Kani Salad and Yasai Itame plus more to come. 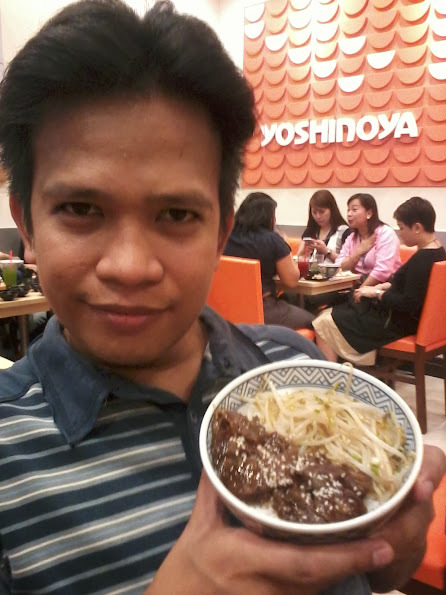 It was indeed a great rainy day treat, specially the Ramen, not only for me but for the rest of the guests and visitors of Yoshinoya. 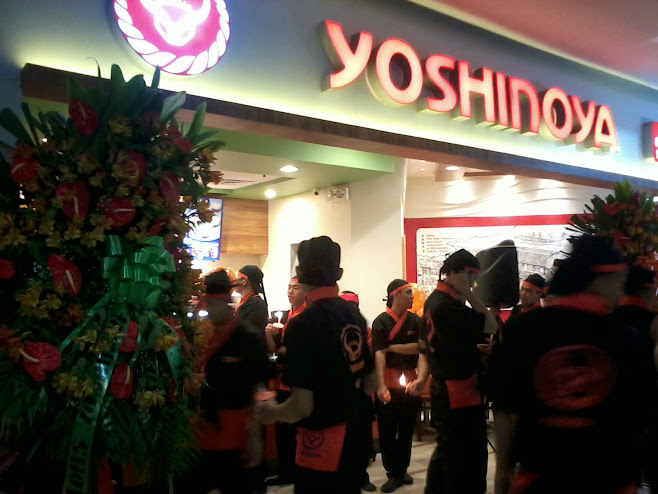 So what are you waiting for Yoshinoya Robinsons Galeria Branch is now open and just waiting for you. Enjoy! 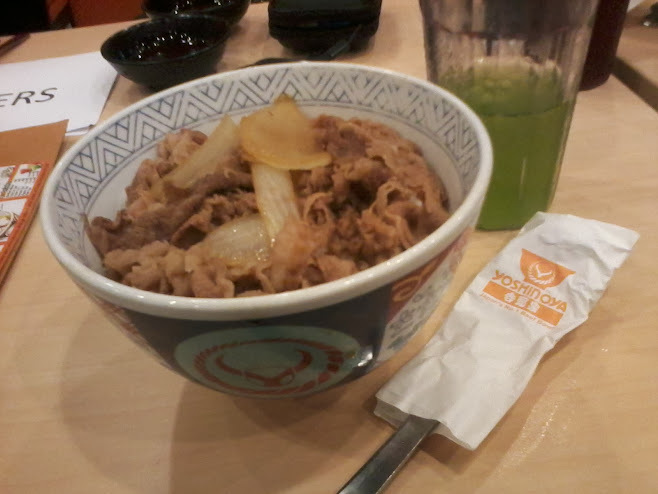 You can also enjoy Yoshinoya on different locations namely SM Megamall, SM North EDSA, SM Mall Of Asia, SM Manila, and Glorietta.